The 'Kalank' actor stole the limelight by cracking a hilarious joke about the upcoming 2019 Lok Sabha Elections. Mumbai: 'Kalank' stars Varun Dhawan, Sonakshi Sinha, Alia Bhatt and Aditya Roy Kapur had recently appeared on The Kapil Sharma Show to promote their upcoming period drama. On the show, the stars had a lot of fun, however, Varun has indeed stolen the limelight by cracking a hilarious joke about the upcoming 2019 Lok Sabha Elections. 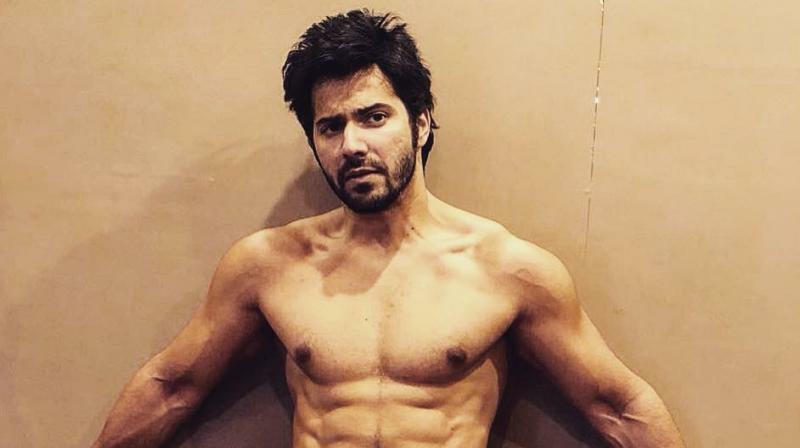 Apparently, a short video from the show went viral on the social media in which Varun Dhawan states that he wants to keep 'underwear' as a symbol of his political party. In the video, the stars can be seen choosing some wacky symbols for their respective political parties. Varun Dhawan came up with the funniest symbol of a ‘kachha’ (underpants) which left everyone surprised. Apart from him, Alia came up with 'thali' (plate) while Sonakshi decided to use her father's iconic dialogue ‘Khamosh’. Meanwhile, Kalank also stars Madhuri Dixit-Nene and Sanjay Dutt in pivotal roles. Directed by Abhishek Varman and produced by Karan Johar, Kalank is set to release on April 17, 2019. Tags: varun dhawan, varun dhawan movies, varun dhawan underwear, underwears, men underwears, varun dhawan political party symbol, the kapil sharma show, kalank, kalank movie, lok sabha elections, 2019 lok sabha elections.